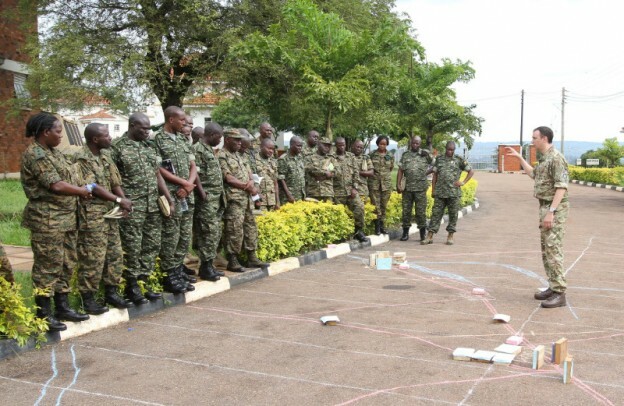 Elements of the Regimental Headquarters, 7 Regiment RLC deployed to Jinja, Uganda, where they assisted the Ugandan Peoples Defence Forces (UPDF) with the development of new courses and doctrine at the Uganda Junior Staff College. 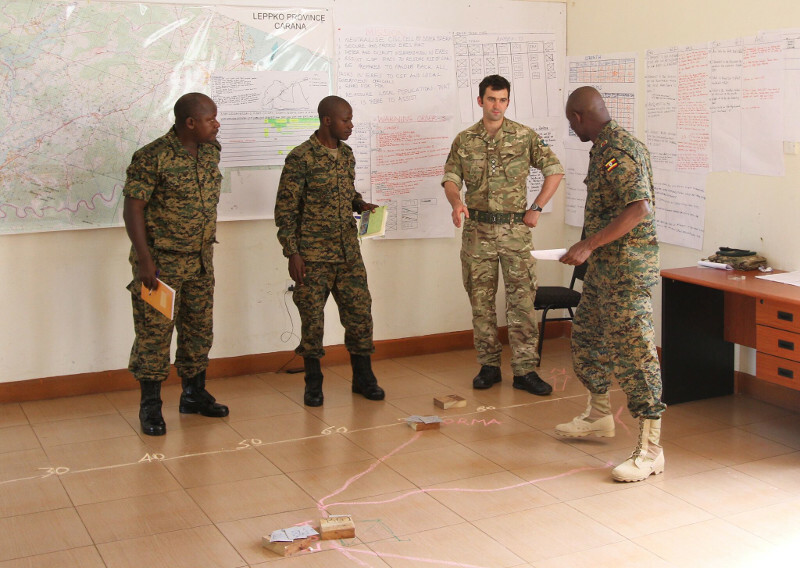 Conducted in tandem with a team comprised of former military officers from Alceon, the Logistic Fusion course was the first time that logistics has been interwoven with operational planning in Uganda. 7 Regiment has a history of providing training support to the UPDF and this was the third time that a team had been sent by the Regiment in the last year. The UPDF are an operationally focused force with a wealth of recent experience in both and South Sudan and Somalia as part of the 9 year long African Union Mission to Somalia (AMISOM). AMISOM is a UN supported coalition of 5 troop contributing countries, of which the UPDF are the major contributor with over 6,000 troops in Somalia. 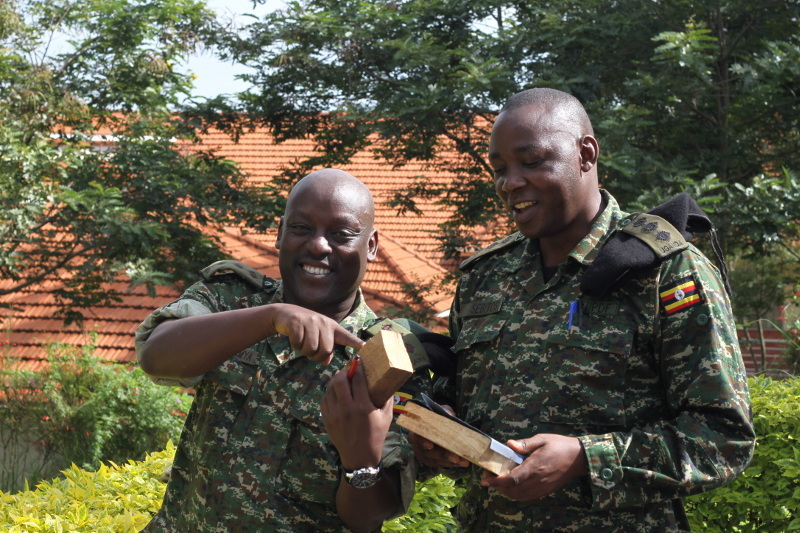 Historically UPDF officers have not specialised in particular areas, although logistics is an area in which a specialist field is being created. The UPDF also contribute troops to the East African Standby Force (EASF) and maintains a Brigade at 14 days notice as the Uganda Rapid Deployment Capability. 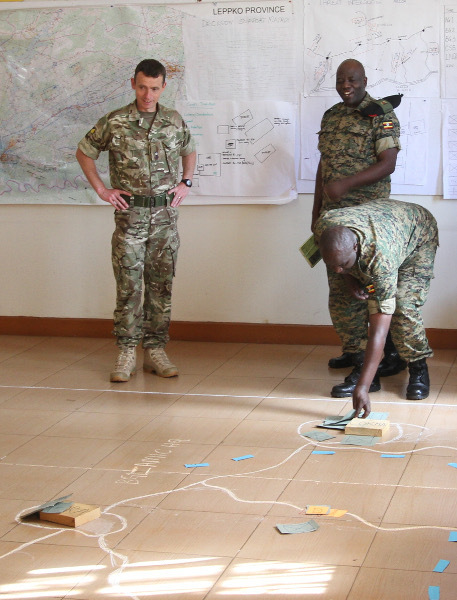 During the 3 week course members of the 7 Regiment team developed and instructed on the UPDF Logistic Fusion course, culminating in a Brigade level planning exercise which was designed to integrate logistic planning alongside tactical planning. The successful course was attended by 35 UPDF Logistic officers, and future iterations are to include Officers from across the UPDF. The course followed the 6 stage EASF planning process and educated students in the planning process from generalist and logistic specialist viewpoints. After a period of teaching and testing and adjusting hypotheses syndicates of 8 students had 4 days to conduct a full estimate on a Brigade operation, complicated further by being an overseas deployment in a coalition environment featuring numerous, audiences, actors and adversaries. This scenario provided a multitude of challenges which closely echo the challenges faced by the UPDF in contemporary operations. 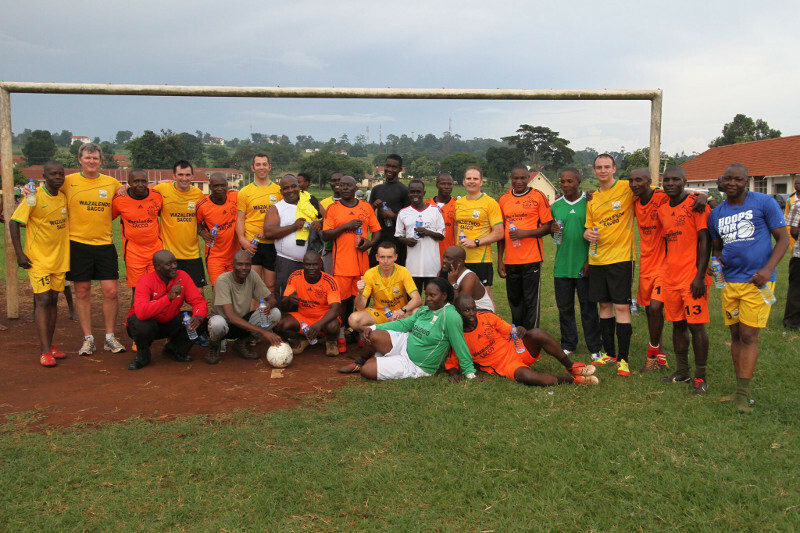 Whilst in Jinja the 7 Regiment team also arranged and took part in a football match with the UPDF which was very well received in a country where football is a national obsession and always a popular topic of conversation. The end of the deployment saw a visit to the Commonwealth War Graves Cemetery in Jinja, the final resting place of 179 soldiers of the Second World War and commemoration to a further 127 whose graves were not within a recognised war cemetery. This served as a poignant reminder of the deep cultural history which Britain shares with Uganda and the sacrifices that Ugandans and the East African community have made in support of Britain. Throughout the time in Uganda the 7 Regiment team were amazed by the openness and warmth of our Ugandan hosts. the relationship between the British Army and the UPDF is strong and a platform has been built for a future of positive dialogue and increased logistic effectiveness for both parties. It is hoped that this relationship continues to grow and evolve.